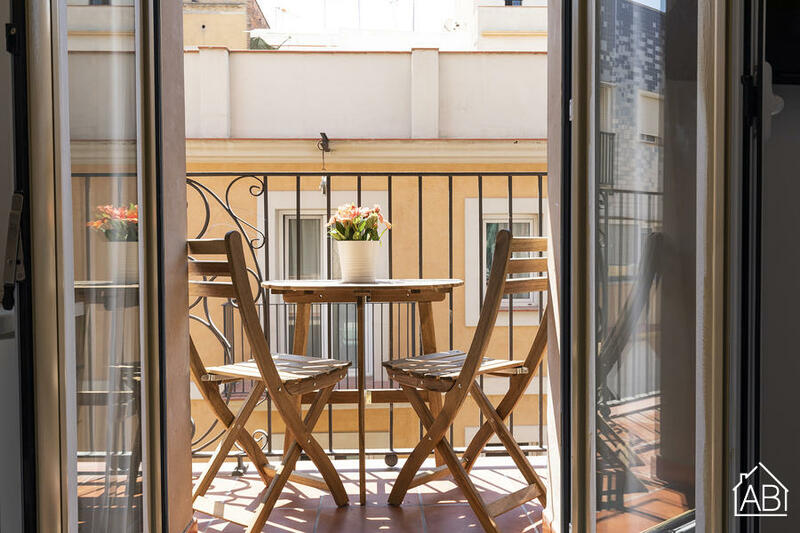 Less than one minute from Barceloneta beach, this gorgeous one bedroom apartment with private balcony offers guests a great location and air conditioning. It is less than ten minutes from the nearest metro station. The apartment sleeps up to two people across one double bed in one bedroom. There is a cosy living space with sofa and TV. The apartment has one bathroom. Originally a fishing village, Barceloneta is full of incredible bars and seafood restaurants. It is favoured by the locals and guests can enjoy stay filled with culture and history, but at the same time remain well-connected to the rest of the city.